When you step into Emissary, you’ll find a sleek, simple dining room and counter service area, peppered with people chatting, working on computers or sipping leisurely afternoon coffee. Don’t let the simple appearance fool you, though; the food and drink here are not just delicious, but beautiful as well. The minimalist, urban backdrop will only heighten the experience of diving into a rich cup of Counter Culture coffee or a tasty bite off the menu. Grab a window seat or a table in the nook for more privacy and peruse the carefully curated menu. 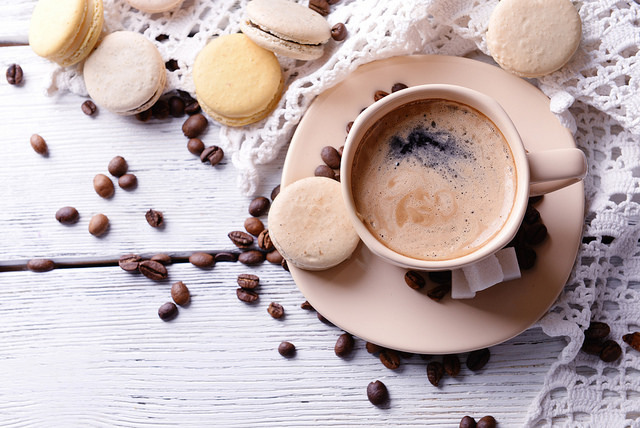 A cappuccino will go great with a Gouda and vegetable omelet, or sample a glass of wine along with a plate of marinated Manchego. The beet salad will come to you looking too pretty to eat, but you won’t be able to resist devouring every bite once you’ve had a taste! Diners also rave about the sandwich selection, especially the smoked salmon and goat cheese sandwich on a beautiful roll. Pastries to accompany your morning coffee are also available. Emissary is a hip, new coffee spot that you can enjoy with friends or just keep as your little secret spot to get away from it all.